Click on the link below to read Chris Devine's review of the PHRED instruments Ernesto VH3 Blonde guitar in the December 2014 edition of Performer Magazine. "It’s the sum of the features that really makes this a unique and versatile guitar. For players who get bored with tones easily, this could be the cure. 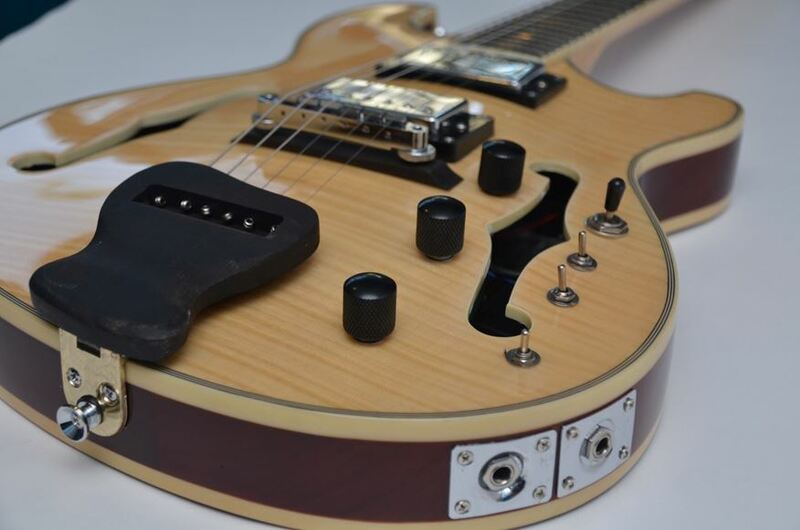 It might be hard to get a non-Phish/Trey fan to check it out, but it’s well worth a look for guitarists interested in a semi-hollow or fully hollow thinline." "At a street price of $589, this is both affordable and actually available to the average working musician." "It’s a unique configuration with the hollow body construction and a 25.5” Fender-style scale length – it’s a bit snappier than a Les Paul but with a touch of that humbucker fatness."